If you are unhappy with a decision made by the RMS or Police to suspend your licence, you can lodge an appeal to overturn the decision and get your licence back. 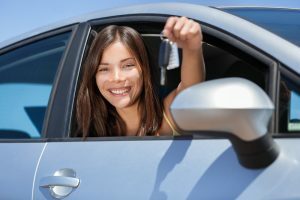 You normally only get one chance at a licence appeal, so it’s important to ensure that you are being represented by an experienced traffic lawyer who has a proven track record of winning driver licence appeals. An appeal is a basically a request to have a decision made again. If you disagree with a decision by the RMS or Police to suspend your licence, you can request to have the decision re-determined by a magistrate in the Local Court. This means that the magistrate will listen to both sides of the story and make a decision based on the facts and circumstances of your case, including the circumstances of the offence (in other words, the reasons why your licence was suspended in the first place), your previous traffic record and prior character, and why you need a licence. If you are considering lodging an appeal, it’s important that you do so as soon as possible. There is a time limit on lodging appeals – you are required to lodge your appeal within 28 days of receiving the RMS notification letter, or within 28 days of finding out that you are suspended. What type of decisions can I appeal? Where you have a full licence and you wish to plead ‘guilty’ to the offence that caused the demerit points suspension, but your lawyer is requesting that the matter be dealt with by way of a ‘section 10 dismissal or conditional release order’ – i.e. where you are found guilty of the offence but no conviction is recorded. Driver Accumulates 28 Demerit Points in Road Blitz Double Demerits Over the Easter Long Weekend How Do Red Light Cameras Work? Australia’s First Cyborg Rights Case: An Interview with Biohacker Meow-Meow Driving and Mobile Phones. Knowing the Rules.